INAUGURAL Adelaide coach Graham Cornes admits he’s increasingly concerned that Rory Sloane won’t be at Adelaide beyond this season. Sloane, 27, looms as the biggest and most in-demand free agent of the year. He comes out of contract at Adelaide at the end of 2018, which would give him unrestricted free agency status should he opt not to re-sign with the Crows. After Sloane last year insisted he wouldn’t be rushed into signing a new deal, Cornes called for the star midfielder to inform the Crows of future intentions now. 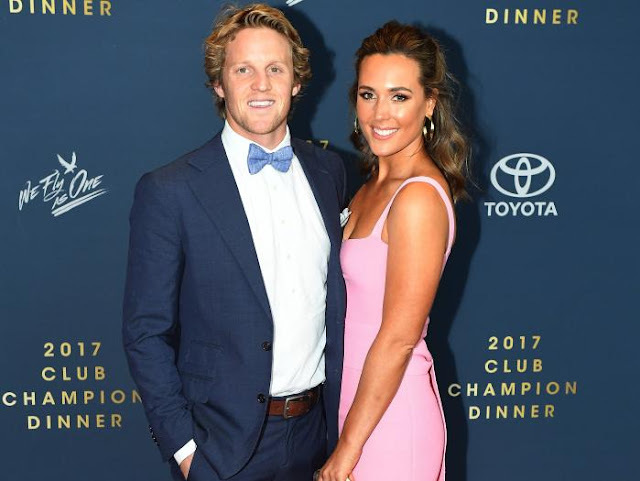 And Cornes remains of the opinion that Sloane — rated among the top five players in the league according to Champion Data’s Official AFL Player Ratings — is strongly considering a return to his home state of Victoria for 2019 and beyond. “I’m not confident that Adelaide can keep him, but I’m confident that he won’t keep us guessing,” the footy legend told FiveAA on Monday. Cornes said he’d recently spoken to Sloane’s partner, Belinda, at a recent function and was able to have a “sensible discussion” with her. From the chat, Cornes said he “gleaned” that the Sloane’s hadn’t made a call on their future yet. “We’re all saying ‘he knows, he’s going, he’s gone’ — and I sincerely believe they haven’t (decided),” Cornes said. “More importantly, when they do make the decision, they will tell the world, which is what we’re saying. We don’t want to go through this charade that we had with (Patrick) Dangerfield … you can’t do it again. Sloane was taken by the Crows with Pick 44 in the 2008 national draft. Over the past nine years, he’s developed into one of the best on-ballers in the league, highlighted by his past two Brownlow Medal finishes of seventh (20 votes in 2017) and fourth (24 in 2016).